I refer you to the attached letter and further ‘List of Chronology of Correspondence’. I await keenly your response at your very earliest opportunity and convenience. 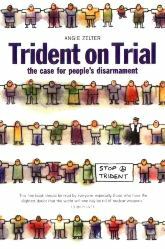 I write both on behalf myself, as the Secretary for both the Pembrokeshire PICAT (‘Public Information Case Against Trident’) & West Wales PICAT Groups, and also for and on behalf of my colleague Ms Angie Zelter, who acts in a similar capacity in relation to the Knighton Action for Peace & Justice Group. On behalf of these Groups, and others who are now being treated co-jointly with us, both Ms Zelter and I wrote to the chambers of the Attorney-General, in Victoria, with a comprehensive and detailed originating correspondence , formally requesting his consent to institute criminal proceedings, against the Prime Minister, the Sectertary of State for Defence and the corporate office of the Defence Secretary, pursuant to powers granted under s.53 (3) of the International Criminal Court Act 2001. Ms Zelter’s letter being dated as long ago as 21st February 2016, (x6pp in length) it included a full argument set out as to why she was contending that her application for the Attorney’s consent to institute proceedings, fully addressed and was fully compliant with each and every relevant element of the “Code for Crime Prosecutors” as produced by the Director of Public Prosecutions, pursuant to his duty under s.10 of the Prosecution of Offences Act, 1985 ; and in relation to which she cited the earlier position statement , made by the Attorney’s predecessor in office, as being the basis for considerations made also by that Office in relation to the grant of such said consent, as it was in relation to the equivalent decision of the DPP in other cases for which he bore statutory responsibility instead. My further originating communications, which were in nearly identical vein were sent, via email, respectively on Tuesday 3rd. May, acting then as Secretray for the Pembrokeshire PICAT Group and subsequently on Thursday, 5th of May 2016, acting then as Secretary for the West Wales PICAT Group. Despite all this detail, we nonetheless subsequently received communications from a Mr Hollands, describing himself as the Correspondence Unit for the Attorney’s Office, and requesting in effect further and better particulars, responding to certain legal issues, in particular as regards the ‘identification doctrine’ in relation to corporate criminal liability and other matters as regards our choice of particular statutory section within the 2001 Act, to which we had made reference. In response to these and other legal concerns we immediately sought the advice of and duly instructed leading counsel (Mssrs Kirsty Brimelow QC & Prof Nick Grief of Doughty Street) and in due course a further (x6 pp) letter, professionally drafted by Prof. Grief, was forwarded by my colleague Ms. Zelter on first October, last year, 2016. In addition, I believe just the following day (2nd October), I then followed up by forwarding to Mr Hollands, again via email, a complete set of the supporting documentation comprising a least x12 separate documents (including x5 Expert Witness Reports) which we had previously prepared in support of our arguments. I am attaching, hereto, a List of Chronology setting out the full history of our correspondence to date with the Attorney’s Office. Accordingly, it is our contention that at least as of this point in time, if not before, the Attorney had all of the information and supporting documentation he could possibly require in order to reach a final decision, with a reasonable degree of dispatch and expedition. However, now almost some 10 months later again, we are even as yet to receive a definitive response to our application. It is true that as of 18th July this year (2017) we have now received an email from the Correspondence Unit, suggesting that we may have no more than a full further four weeks to wait ! But candidly, given the not merely unreasonable, but truthfully wholly unconscionable, delay which we have experienced to date, how can we put our faith in such an undertaking. 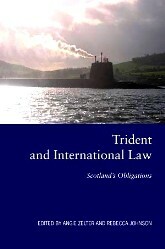 It is naturally appreciated that, as a matter strictly of politics and perhaps also even of morality, that our appreciation of the asserted ‘need’ for a so-called ‘independent’ British nuclear weapons deterrence policy, complete with contingency planning in relation to the use of our submarine launched intercontinental ballistic missile weapons against prospective strategic enemies, differs diametrically from that of not just the present Government administration, but of course from that of all of its predecessors since the 1950’s if not before. However, we are repeatedly and insistently reassured by statements from the Office of the Attorney-General that, in matters of his prosecutorial fiat, he acts in a wholly judicial, or at least quasi-judicial, capacity, without regard whatsoever to any political or even moral considerations. Accordingly we hope and trust that despite any political differences we may have, the matter of proceeding with our strictly legal application, has not been subject of such unconscionable delay for any unworthy or unjustified political reason.Hence, we choose to now make this formal complaint as at least a matter of a first formal response. 19/02/16 – Knighton requests A-G’s consent.